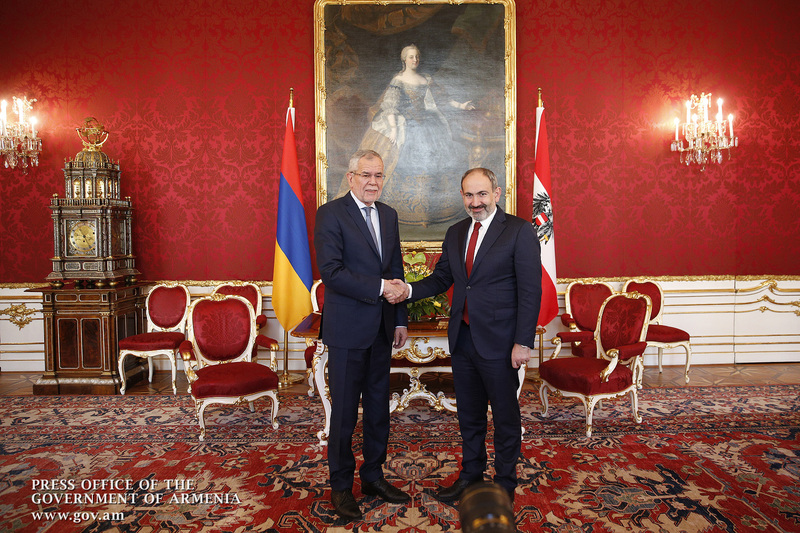 Welcoming the Prime Minister of Armenia, the Austrian President said his country keen to continuously develop and expand multifaceted relationship with Armenia. 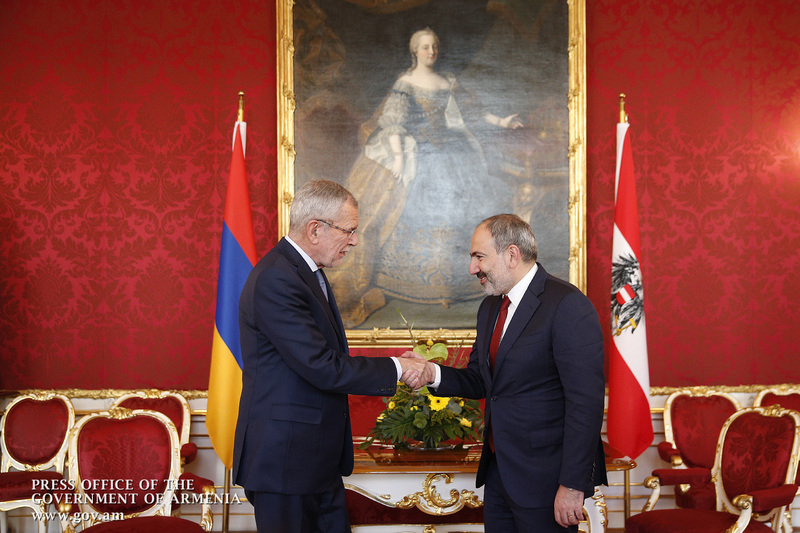 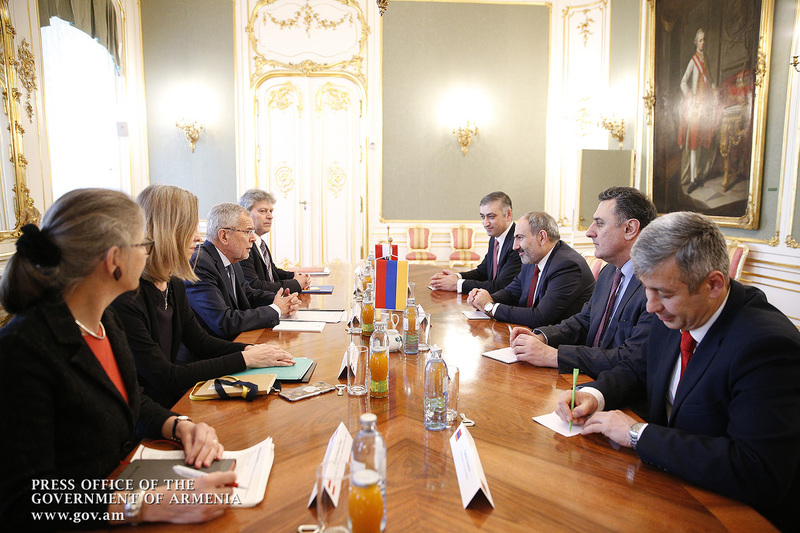 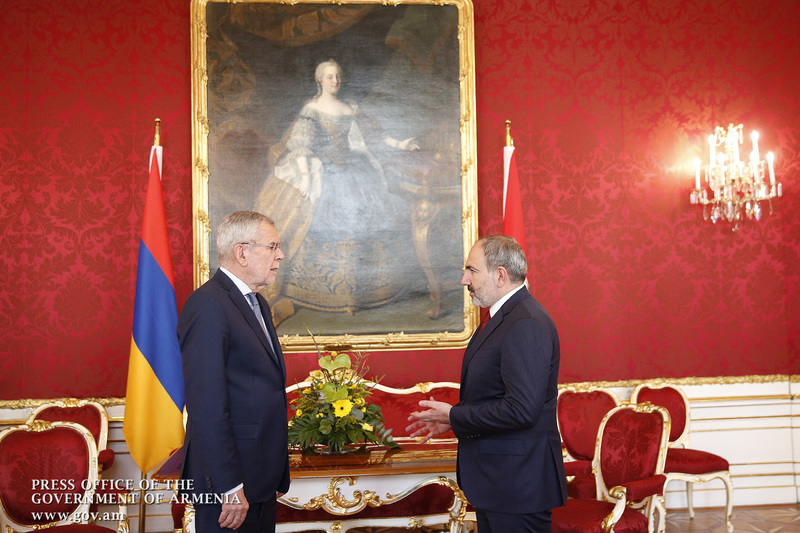 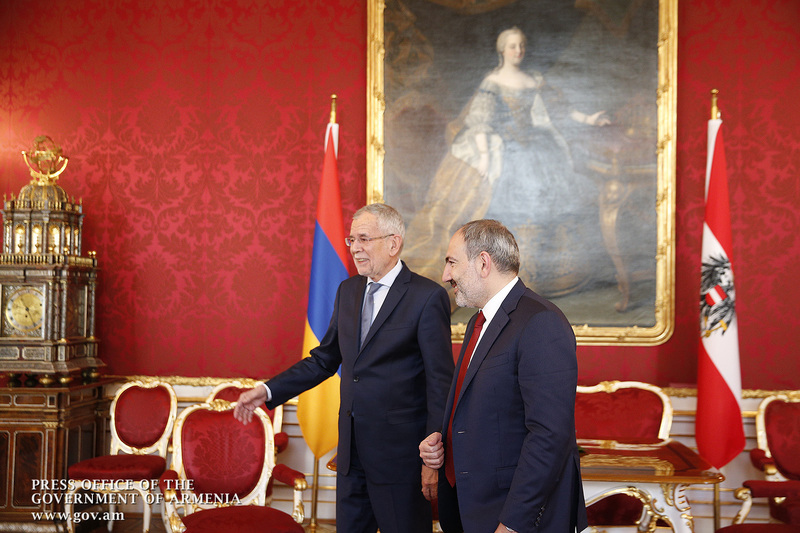 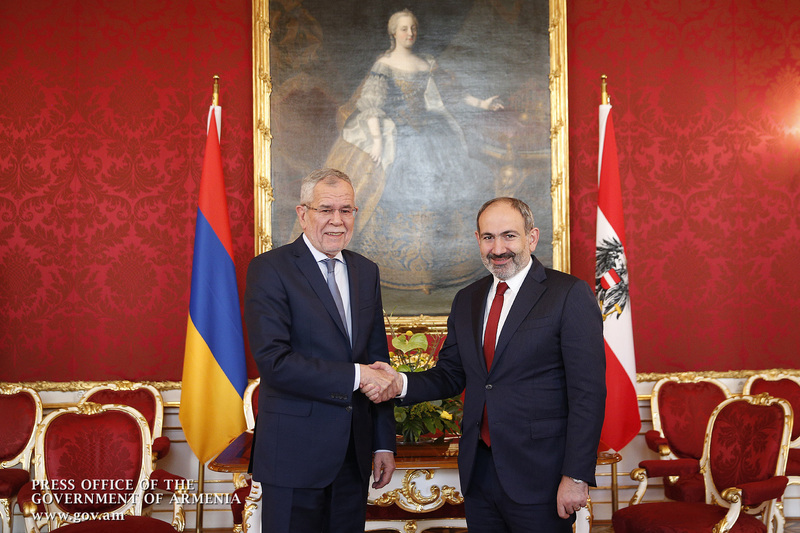 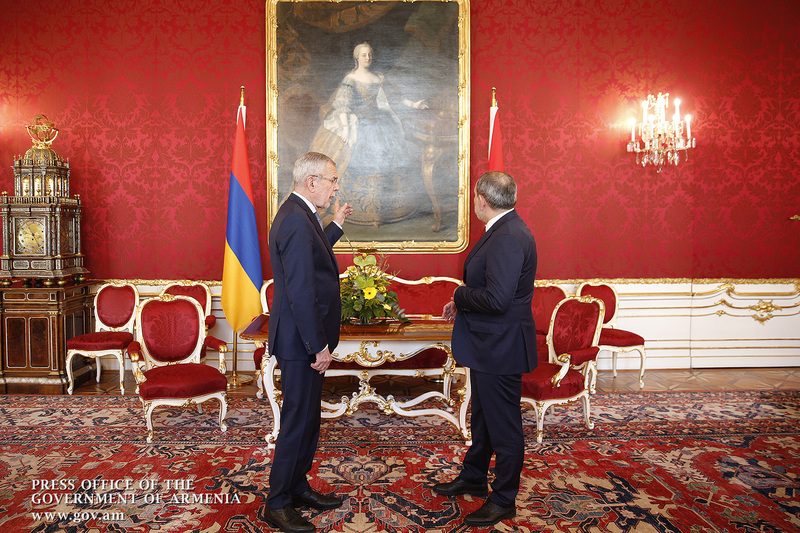 Alexander Van der Bellen complimented Nikol Pashinyan on the ongoing reform process in Armenia and expressed confidence that our country will abide by the path of democratic development and consolidation over the coming years. 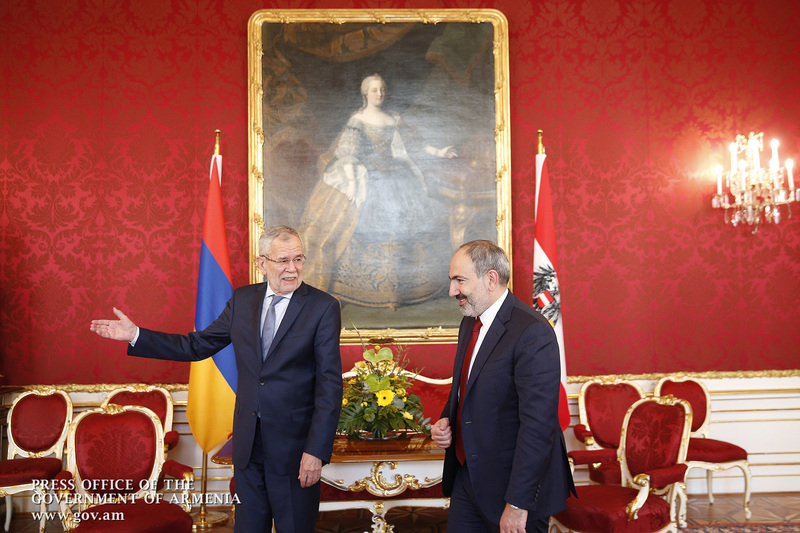 With reference to bilateral economic cooperation, the President of Austria assured that his country is prepared to discuss possibilities of implementing investment programs in Armenia.